Ellison lays out the basics of Celtic Paganism in a scholarly yet accessible way. He supports each of his assertions about Druidic beliefs and practices with citations from ancient sources and from archeology, and lays it all out in an outline that allows students to get started immediately with a Druidic spirituality. Far from being duotheistic, the book gives advice for constructing your Druidic pantheon of worship based on the realities of the local land, and the spirits proper to each individual worshipper. From there, he presents a full system of Druidic ritual, as used in Ar nDraiocht Fein – about as far from a Wiccan form as one could get. It involves offering to the Gods & Spirits, divining their blessing, and then receiving that blessing. Ellison gives solitary rituals for each of the Celtic holy days (and for the solstices and equinoxes), as well as ideas for Druidic funeral and wedding rites. There is a section on spells and practical magic as well, and the book ends with a listing of every Druidic group and order of any size at all. 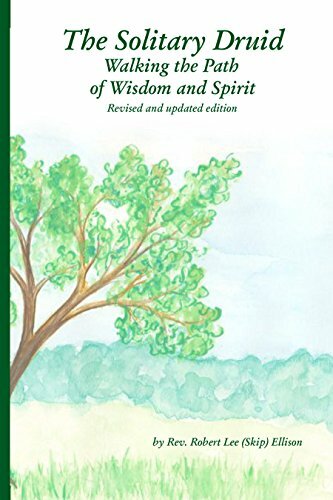 This is a valuable resource – one of the very first books on Druidry drawn from a non-wiccan, scholarly perspective, adapted to practical use.